I never had hummingbirds where I lived before. Moved to a new home 2 years ago saw a hummingbird and became obsessed with the little critters ever since. 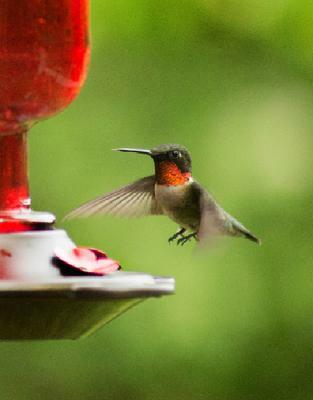 I live in N Mn and for the past several have been swarmed with ruby throated hummers.